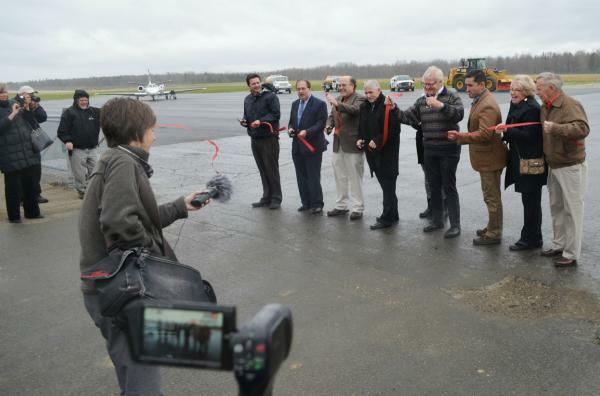 Ribbon cutting occurred this Thursdayin Coventry, Vermont at the Northeast Kingdom International Airport paving the way to economic development. Click here to read more! AnC Bio VT to Break Ground This May! As reported by The Orleans County Record (4/7/15), groundbreaking for the AnC VT facility in Newport City, VT is scheduled to begin on May 12th. Construction is expected to take 14 to 16 months. The facility will house three different activities - research and development of adult stem cell therapies for diseases such as cancer; making human medical devices such as heart pumps and liver & kidney dialysis machines; and, leasing out clean rooms to other biotech researchers. 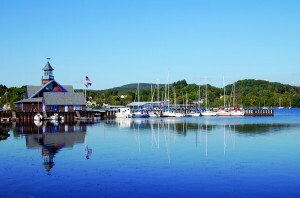 Its Newport City location is central to the University of Vermont, as well as the big research universities in the New England and Eastern Canada regions. Further, the new runway being built at the Newport State Airport in Coventry, VT will provide easier market shipments. About half of the 400 to 450 jobs to be created are expected to be local workers, trained to make devices, with the remaining force being research scientists. We look forward to the business this new facility will bring to the NEK, and with Newport's Main Street demolition well under way, we can't wait for the Renaissance Block to begin! Click here for the April 7th media briefing by AnC/Bio's CEO Dr. Ike Lee with developer Bill Stenger. Bill Stenger presented an update on the Kingdom Projects to the Orleans Country Board of Realtors today. Jay Peak - April 2015 is the start date for the construction of 84 additional cottages as well as an indoor rec center which will host rope courses and climbing walls amoung other activities. The basement of this building will hold a state of the art 200 seat theater. The rec center and the theather will add to the "weather proofing" of Jay Peak Resort. The goal is to offer activities for all regardless of weather conditions. Add these new features to the indoor water park and indoor ice arena and you are covered, rain or shine! Newport Airport - The $8M runway expansion is underway and should be complete in September of this year. This expansion will increase the runway from 4000 to 5000 feet and allow small commercial jets to land in Newport. This extension will encourage private jets and commercial charters like Cape Air or Porter to service the Newport Market. A new hanger is under construciton and there are plans for a new terminal as wll as an assemply plant for Flight Design. Flight Design currently builds a small 2 seater aircraft but will also be building a more popular 4 seater. Expectations are that 300-400 planes will be assembled in Newport per year and employement should be several dozen. Anc Bio - This $100M project is 90% funded and bid packages are in the hands of local qualified contractors. This incredibly high tech building will be unlike anything the Kingdom has ever seen. 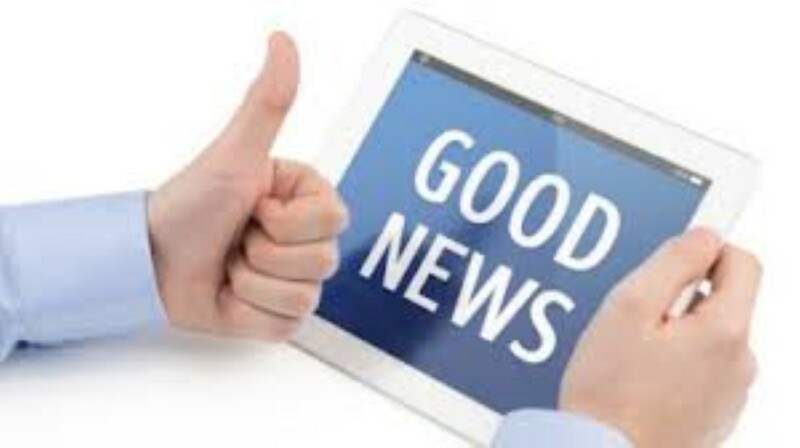 It has recieved FDA approval. The building will host 3 seperate business models. There will be medical device manufacturing, stem cell research and 50 clean rooms. These clean rooms will allow research and development teams the opportunity to work affordably and effectively in an FDA approved setting. Although many of the specific projects will likely take a year or less many of the workers (lab techs, researchers, etc) will be full time positions. This concept could have a dramatic effect in on the medical industry as it will allow these small scale teams to bring medical products to the market without having to be tied to the huge drug companies that control much of the current industry. Construction of the Bio Tech building will begin this spring and construction is expected to be completed in 14 months. Main Street, Newport - The property has been purchased and the buildings are currently going through 2 month process of lead and asbestos abatement at a cost of $500. Once this is complete the buildings will be razed. Fundraising, which is expected to take about 6 months, will soon begin for this 4 story building hosting retail on the main level and 50 suites on the 2nd, 3rd and 4th levels. These suites will complement the clean rooms offered at the Bio Tech building. Burke - The New hotel is under contruction and is expected to be open next December. The resort needs a bed base to expand the tourism and this project will give it just that. Great. 84 more units in an area that's already overbuilt and has to give rooms away to fill them.